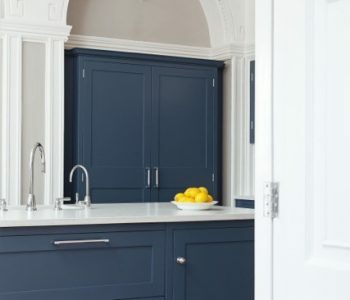 By remodelling their entire kitchen from top to bottom, one couple have addressed concerns their kitchen was not a ‘friendly space’ for family and friends to congregate. John and Julie Mangano, cited in a case study by indystar.com, felt their kitchen was dated and attempted to give it a makeover with a lick of paint. However, this did not address space concerns, leaving the couple with no choice but to overhaul the whole room. The couple’s kitchen remodelling began by removing their existing countertops and replacing them with a rich brown Santa Cecelia granite. 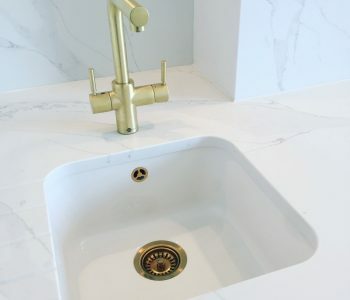 Their choice of countertop is not surprising considering recent studies show 71 per cent of prospective homebuyers find granite or natural stone countertops desirable or essential, cites consumerreports.org. 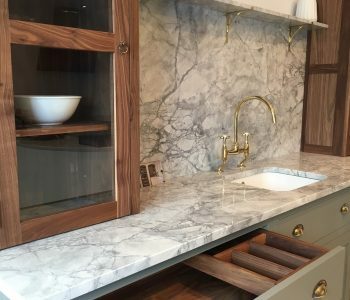 Julie Mangano said their interior designer suggested a natural stone backsplash in a staggered brick pattern in order to complement the granite tops. 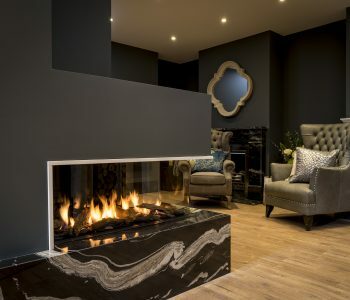 In addition, the couple decided to extend their kitchen area into an adjoining dining room, creating an ‘airier’ kitchen and room for a bar and coffee area at one end. Furthermore, the Manganos replaced all their existing kitchen cabinets with ‘crisp new white cabinetry’ but did opt to keep their microwave, double oven and dishwasher to save some cash.